Red Cliffs Historical Steam Railway operates on the first Sunday in each month (except for January & February) and relies entirely on the expertise and commitment of the volunteer workers. During the cooler months of the year there is always plenty of maintenance to be done. The replacement of sleepers is ongoing. 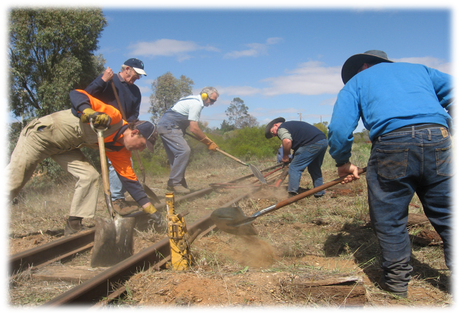 This requires a dedicated core group of volunteers, as this work is critical to the ongoing success of the railway. 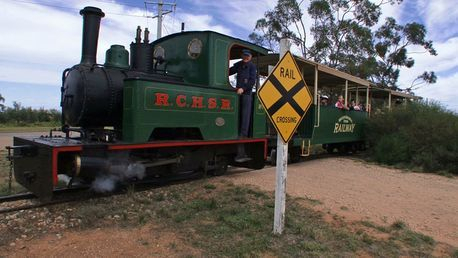 The continuing success of the Red Cliffs Historical Steam Railway can only be achieved from active membership. If you live in the Sunraysia region we would love to have you on board. We can train interested and committed people in all aspects, from ganger, guard, fireman and driver. Every role is essential to the successful and safe running of our railway. We also welcome new members to help in the shop or assist with the running of the BBQ. If you have a trade qualification your expertise and input would be very welcome. 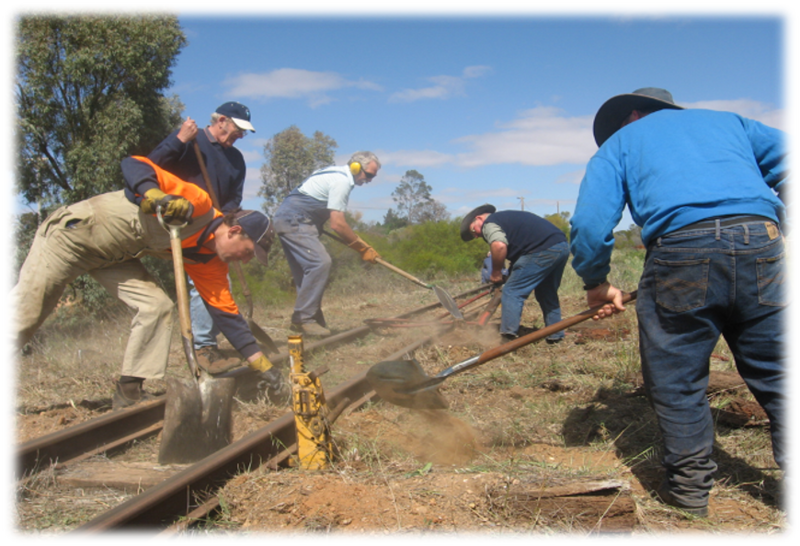 Help preserve part of Sunraysia’s fascinating rail history by becoming a member of the Red Cliffs Historical Steam Railway. Your support and contribution will greatly assist in our ongoing maintenance. Without volunteers we would not be able to operate. Without a committee of management the railway would not be able to operate. We are seeking new people to join our railway and become actively involved on our committee. Tradesmen from the Engineering, Electrical & Building trades would be warmly welcomed. A small but dedicated crew replacing sleepers. This is vital work that must be done to keep our railway safe and operating. 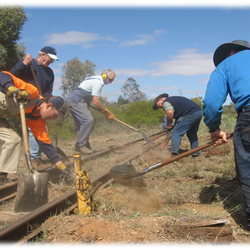 Without these volunteers the Red Cliffs Historical Steam Railway would not be able to provide the ongoing train rides to the many families and their children.